This fully illustrated catalogue includes essays by exhibition curator Maria Iovino; photographic historian Sagrario Berti; testimony by Fernell Franco; and a personal note by Graciela Iturbide. 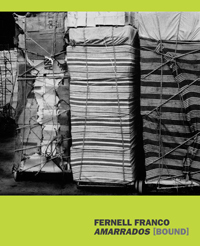 The exhibition Fernell Franco: Amarrados [Bound] focused on the homonymous series comprising large-scale black and white photographs developed by Franco in the early 1980s. Fernell Franco (Cali, 1942-2006) is considered one of the few photographers who developed a distinct lyrical view of the shift towards modernity in Latin America.